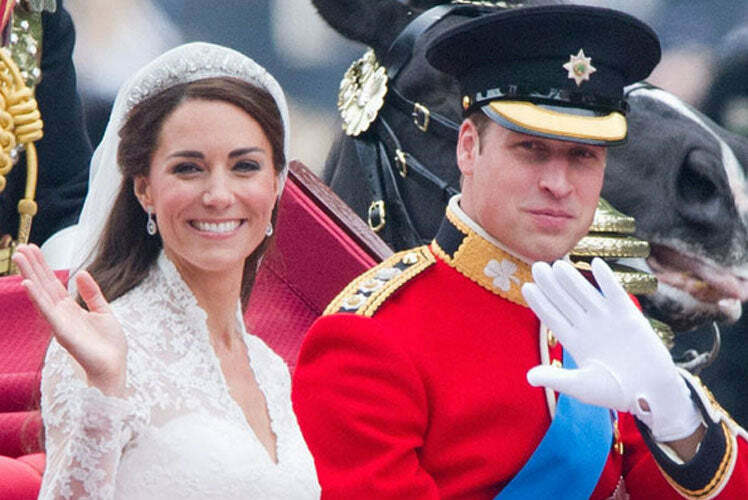 British versus American Weddings: What’s the Difference? Themes have always been popular to bring all the elements of the wedding together. Choosing a particular country is often a popular theme. While French and Parisian style has always been favoured for its romance and chic glamour, in a recent study it was revealed that many French brides are now choosing to have an English and American style for their wedding. Monique from beautiful wedding blog, French Wedding Style, explains: “The trend for English/American brides to including French style wedding accents, have recently been flipped with French brides planning their traditional weddings, but including English and American style elements. Differences that are appearing in French weddings include bridesmaids who are normally absent from the bridal party and the traditional croquembouche is replaced by the iced tiered wedding cake. 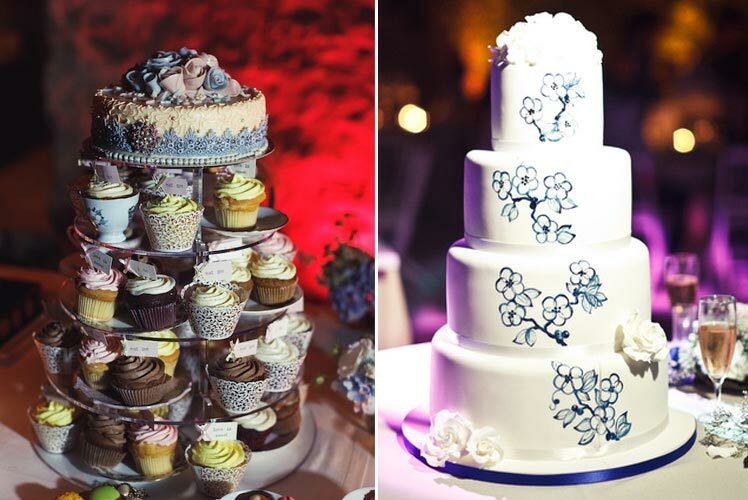 The trend of cupcakes is also moving into French weddings with themed cupcake towers appearing as part of the dessert table alongside the traditional macaroon towers and other French delicacies. Furthermore, British brides are increasingly adopting American trends seen in the movies while British wedding traditions are starting to crop up stateside thanks to their love affair with anything ‘quaint’ and British, not to mention the influence of a certain Royal wedding in 2011. Americans seem to enjoy making the most out of the pre-wedding period and prolong the festivities as much as possible, and frankly, why not? A bride will likely have a wedding shower and it is customary for guests to be brought together for a rehearsal dinner before the big day. Quite what there is to rehearse is unclear (perhaps there’s more choreography involved in American weddings), but it’s a nice idea to get everyone together for a meal before the big day to ease some of the pressure. Winner: America — who wouldn’t want more celebrations and dinners? While American grooms stand beaming as their bride makes her way down the aisle, British grooms maintain a stiff upper lip and stand facing way from the bride, only looking at her when she reaches the alter. Winner: America — how can British men resist taking a peek at their blushing bride? Irish couple Gemma and Gary’s NYC wedding. Photo by the talented Brian Friedman of B-Freed Wedding Photography. Bride wears our Vine of Beauty Bangle and Enchanting Sparkle Hair Comb. Some are reserved, some make a bold statement and others are downright Avant Garde — hats have been a traditional fixture of British wedding ceremonies. But British guests are starting to shun hats in favour or more subtle fascinators or a statement piece of costume jewellery these days, so they’re a less common sight these days. American guests do wear hats, but not exclusively. Winner: America — hats don’t suit everyone and guests should wear what suits them, experimenting with different accessories. At an American wedding, the couple will have their first dance just after their arrival is announced. At the ceremony itself, bridesmaids typically come in after the bride. And if the person seated next to you gets up for a turn on the dance floor after the starters have been cleared, don’t be surprised: American guests love getting up to dance in between courses. At a reception in the UK, shy Brits usually wait until after dinner and the cutting of the cake to start dancing and bridesmaids usually walk down the aisle just before the brides makes her entrance. Winner: Britain — we like the idea of waiting for your dinner to digest before showcasing any moves. American tiered cakes (rather than the traditional British cake which is stacked up with the support of pillars) is slowly becoming more common in Britain. For the filling, fruit cake is the most traditional cake in Britain while American brides are happier to experiment with anything from Red Velvet to Coconut sponge. Ever wondered why most British wedding cakes have a white icing on the top? The custom started in the Victorian times when white icing sugar was pricier and a sure sign of wealth. These days, modern Brides are opting for American-style sponge cake or even doing away with a big cake altogether and serving cupcakes. And while American couples may feed each other cake or even comically squash it in each other’s faces, more reserved British couples stick to cutting it and smiling for the cameras. Winner: Britain — everyone loves a cupcake but you miss one of the most iconic photo opportunities, the cutting of the cake. And nothing says ‘wedding’ like a mouthful of iced fruitcake. Speeches tend to follow a stricter format in the UK, with only a select few from the groom’s side (usually the father of the Bride followed by the groom and ending with the best man) saying a few words. Saying that, more and more brides are breaking with convention and having their say these days. Americans are altogether more laid back and are likely to make a short, impromptu speech should they wish. Winner: Britain — nothing beats a heartfelt speech that’s had some thought put into it. It can get out of hand if everyone wants to have their say. Crafty Brits are more likely to design their own wedding stationery and usually don’t bother with both ‘save the date’ and official invitations. The Americans tend to put a lot more thought into the stationery, with some hiring professional designers and spending hours debating over fonts. Winner: Britain — there’s something charming about a handmade invitation. British couples who prefer to have a more intimate ceremony often send out two different invitations, one for the ceremony and a separate one for the reception later. Americans wouldn’t dream of doing such a thing, and are also puzzled when they find that British weddings don’t always have a free bar. Winner: Both — a free bar is a risky but fun idea, and who you invite to your ceremony should be entirely up to you. Are you planning your wedding? Which customs will you be following, or will you be creating your own traditions? Take a look at our London Wedding Ideas and New York Wedding Ideas for wedding ideas for your special day.